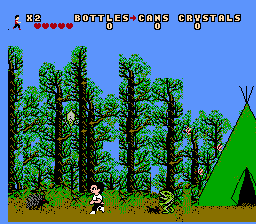 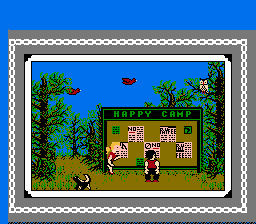 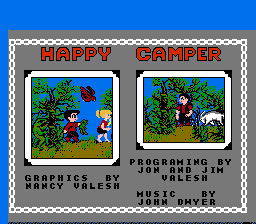 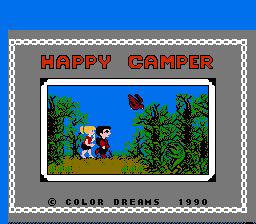 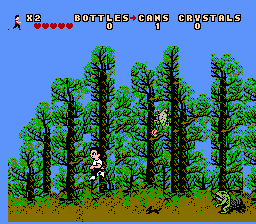 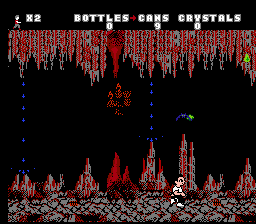 Game collector “NationalGamesDepot” has recently discovered, via his collection of various Color Dreams memorabilia and development assets, a copy of the unreleased action-adventure game Happy Camper for the NES. 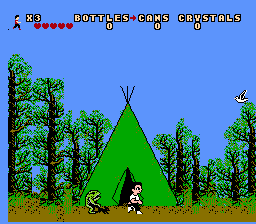 NationalGameDepot has plans to make the game “available” - either physically or through a binary download - through the Nintendo Age website. 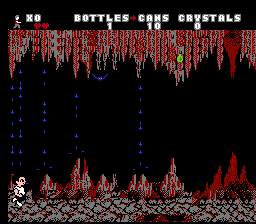 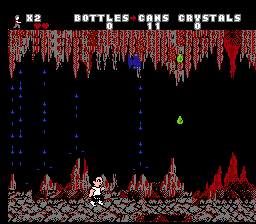 And, though it took some time, he too was able to surpass the first level - level two is represented in the darker screenshots seen below.